The Dean Markley 2552 LT Electric Guitar Strings are part of the Blue Steel range of Dean Markley; gauge 0.09-0.46. 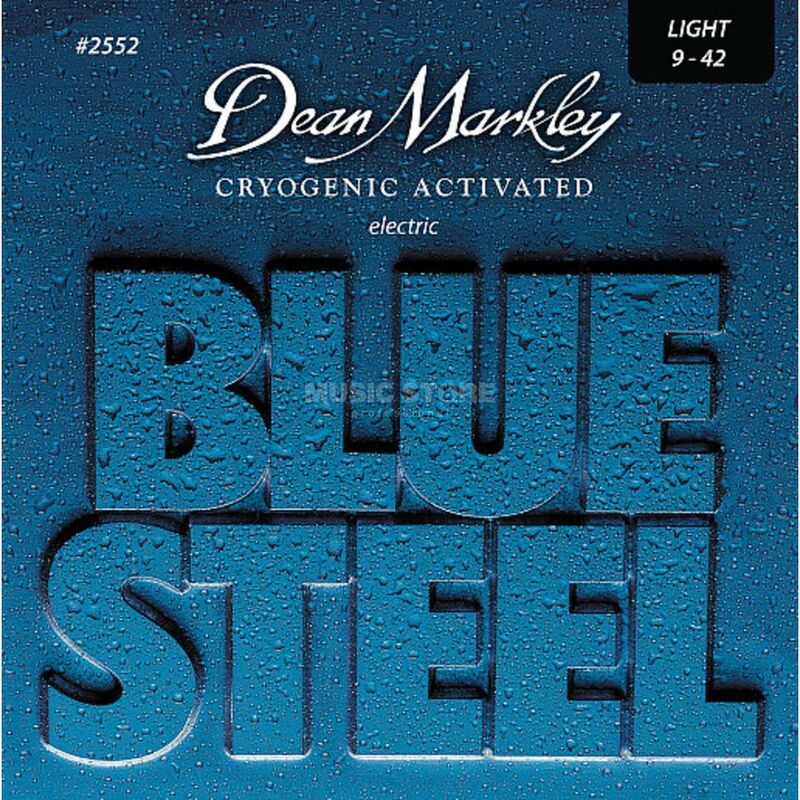 Dean Markley's ingenious Blue Steel strings are cryogenically frozen with a blast of liquid nitrogen. By freezing their strings down to -320ºF, the molecules are tightened, minimizing microscopic gaps. This process removes transient frequencies that produce harsh highs and muddy lows, creating a more consistent string, with true tone and longer life. Made of 8% nickel-plated steel outer wrap on tinned Mandolin wire hex-core, Blue Steel strings have been top-sellers for years and are used by pros worldwide. Once you try Blue Steel strings you’ll be hooked. They feel great, ring true, are durable and long-lasting, and they just plain sound good.